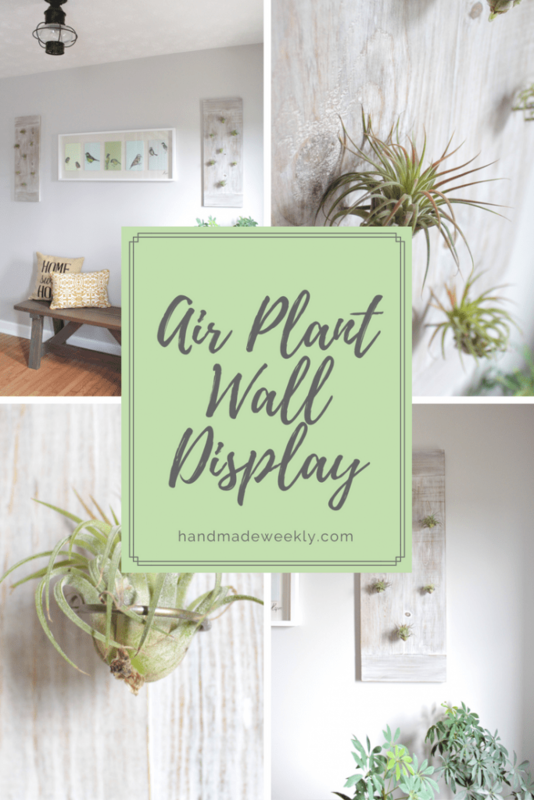 For my post this week I will be featuring an air plant wall display made from wood. I just love air plants. They are nearly impossible to kill which makes them perfect for me. I’ve seen a number of air plants displayed in terrariums or glass orbs but I was pleasantly surprised when I visited my aunt and uncle and saw that they had them displayed in their home on a cool piece of rustic wood. Now, I didn’t have a cool piece of wood, but I had tons of pine scraps that I pieced together to make a whitewashed air plant wall display. Talk about a win, I got rid of some scrap boards AND made some cool home decor! Quick side note: I’m sorry for those of you that came looking for a tutorial last week and didn’t find one. If you don’t follow me on social media, you probably didn’t know that I was on vacation in Iceland (FYI, I HIGHLY recommend visiting Iceland). I decided to take a full week off from the blog but I’m excited to back at it and have already planned out a bunch of excited posts for the next month! 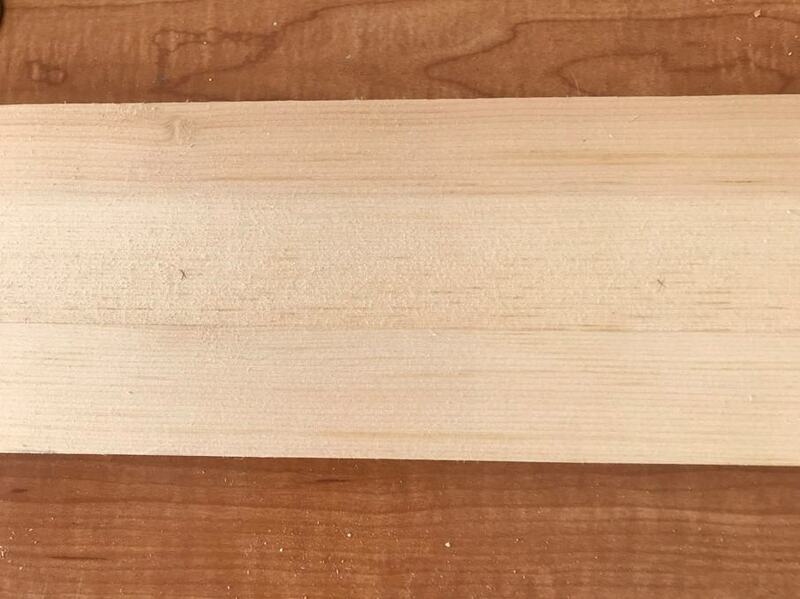 Figure out what you want to use for the wood. 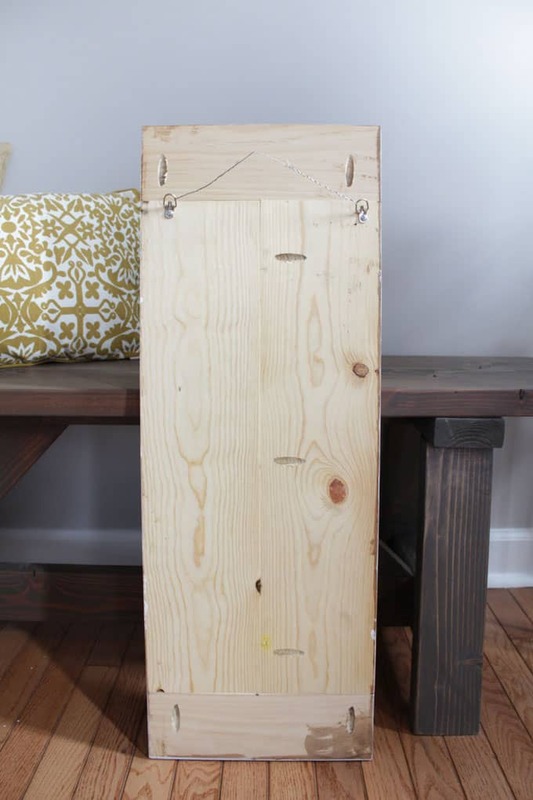 There is so much flexibility in size, shape or type of wood so have fun with this step! I had some pine scraps that I decided to attach together using a bread board on both the top and bottom to add height. I would have loved to get my hands on an exotic unique slab or something like that but I was looking for ways to use my scraps from other projects so this is what I landed on. 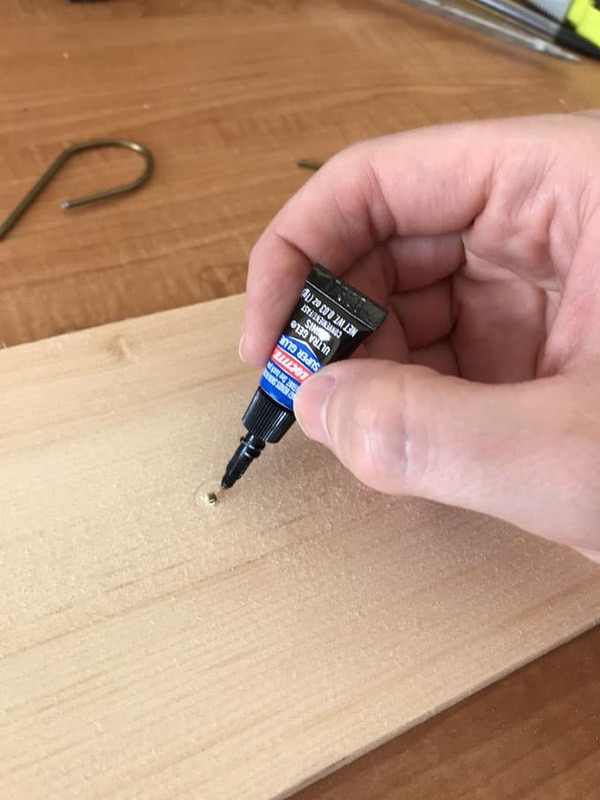 If you want to apply a stain, paint, whitewash, polyurethane or any other kind of finish, it’s probably best to do it now before you start attaching the holders. 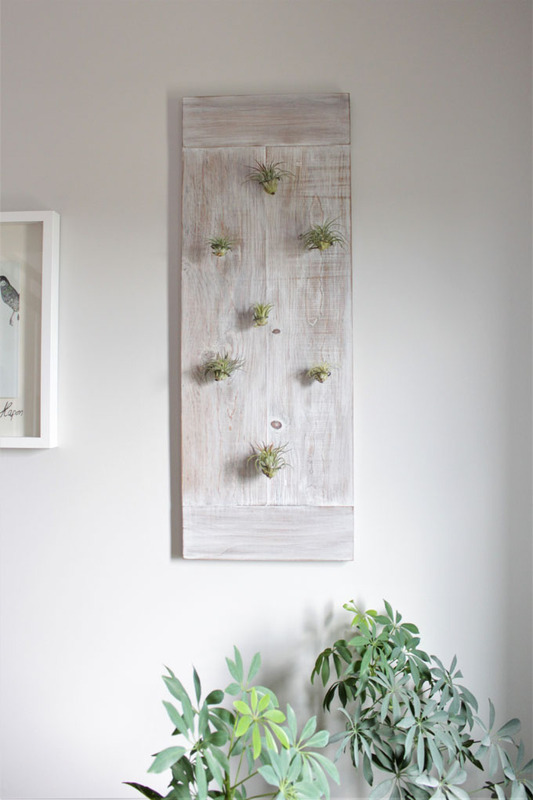 I actually made these air plant displays years ago and I didn’t document the process at that time (I didn’t know then that I’d start a blog and absolutely love it!). Below is a picture of the back of one of my displays. You can see where I used pocket holes to attach the two vertical boards together as well as the top and bottom bread boards. if you are looking to purchase one. Determine how many air plants you want and where you want them to hang. It’s always best to do a rough layout to make sure that you like the look before you go drilling holes. Remember how I said I made this years ago? 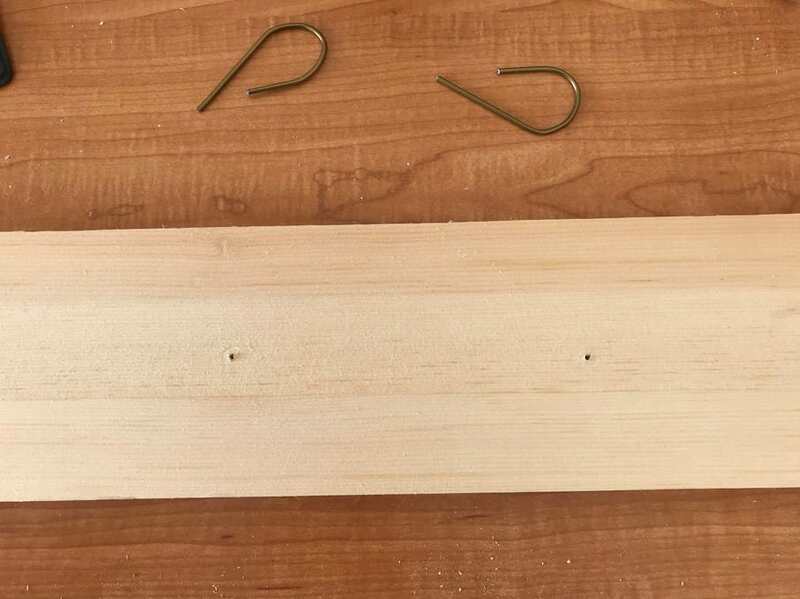 Well, to make this tutorial easier to follow I sacrificed a piece of scrap wood and a metal hanger to show you the process. Here is an example of how I mark my drill holes (light x pencil marks). 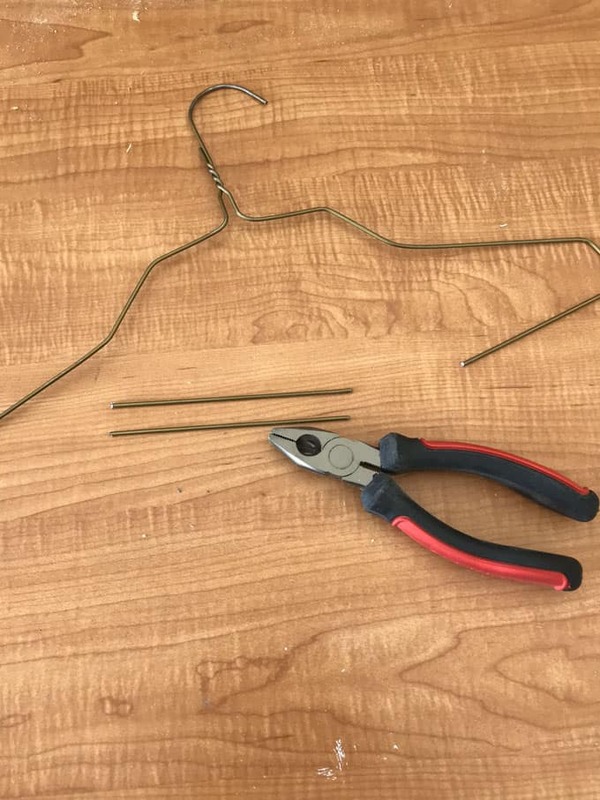 Cut the wire hanger(s) to approximately 5″ in length. Make sure to cut enough to meet the needs of your design. 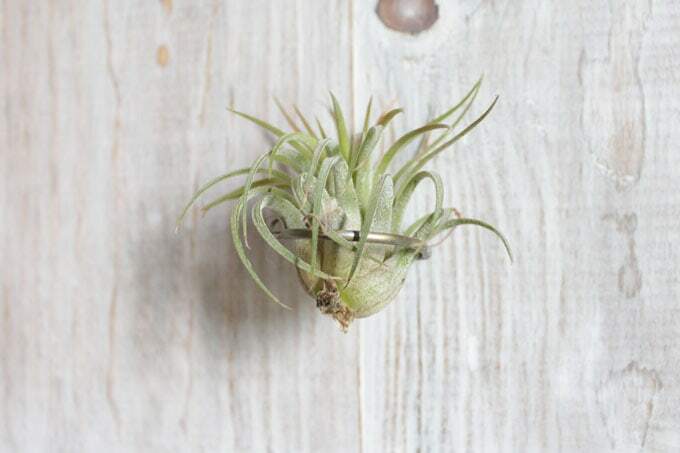 You’ll need one 5″ length of hanger for each location that you plan to place an air plant. I used pliers to cut the hanger. It isn’t easy, but it works. 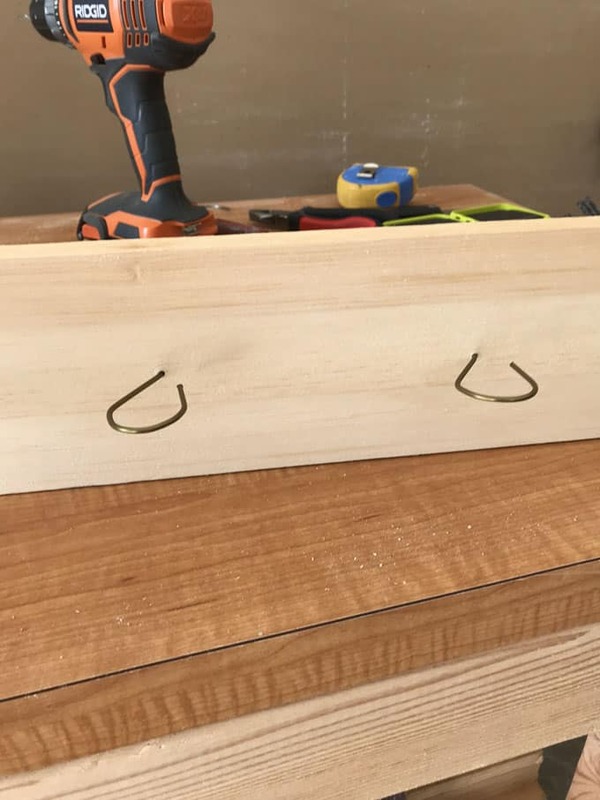 Bend each of the hanger pieces into a circular shape leaving enough of the straight portion to insert into the drilled holes. I used a screwdriver as a guide to round the hanger pieces (see below). Don’t worry about getting this perfect the first try. You can always bend to the final desired shape after it’s attached. 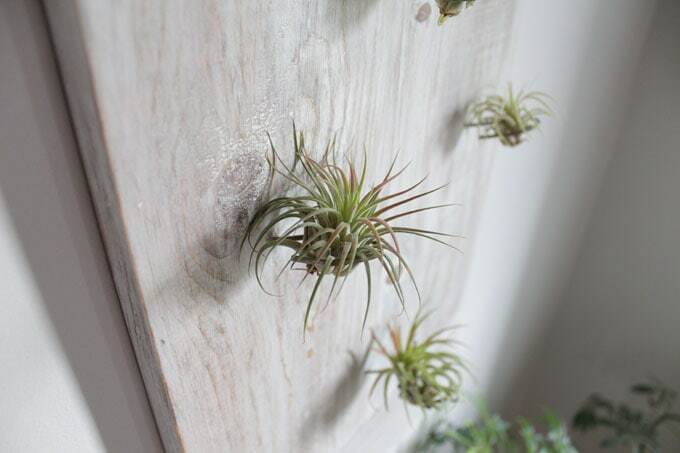 Drill a hole in each of the locations that you want your air plants to hang. The size of drill bit that you use will depend on what gauge (diameter) hanger you’re using. Just match up the drill bit diameter as close to the hanger diameter and you’ll be solid. 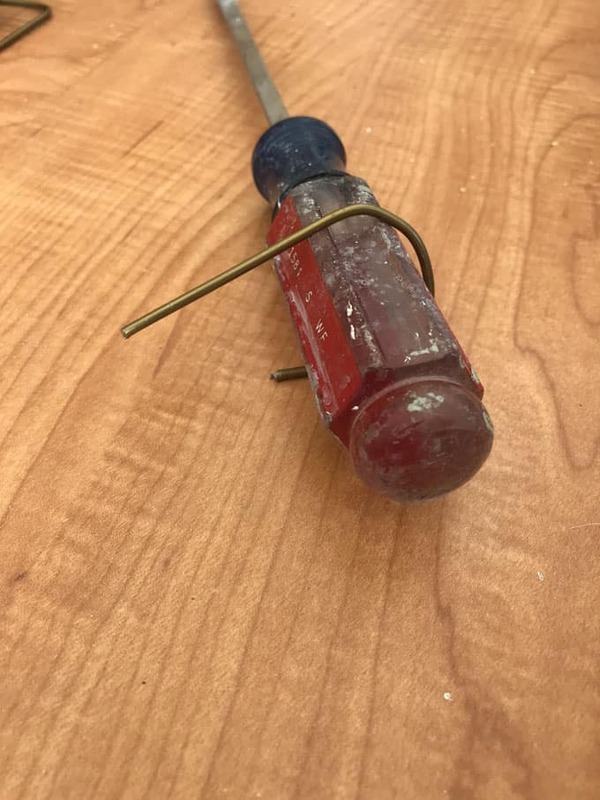 Apply a dab of super glue into each hole and then shove the wire hanger piece into the hole. Be sure to work on one hole at a time. Super glue dries crazy fast! Also, pay attention to the orientation of the hanger so that the air plant will sit securely into the rounded part of the hanger. If it’s crooked your air plant will be crooked too. That’s the last step. 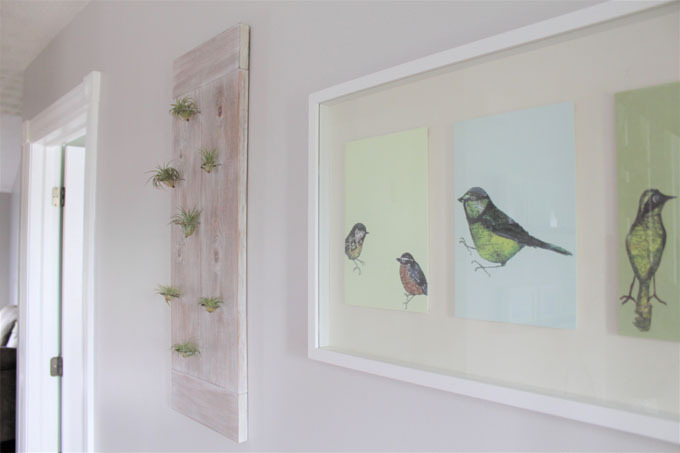 Now you can hang it where you want and add your air plants. If you want to finish yours similar to mine, I first stained the boards with Early American stain by Minwax. After that, I applied a white wash. If you’re wondering how to care for air plants, I’ve read that you can spray them with water once a week. While this method sounds a bit easier than mine, I like to take them down from the hanger and submerge them in water once a week or every two weeks if I forget. I then let them dry on a towel for another hour or so and then hang them up again. I typically do this while I’m cleaning my house so it’s become a normal routine for me. I’ve had these air plants for about a year and half so my method seems to work well. Just look at how adorable these little plants can be! I’m so impressed at how amazing this looks! Nicely done. The air plants are so cool. Thanks Jennifer! Air plants are the best! Looks so beautiful. 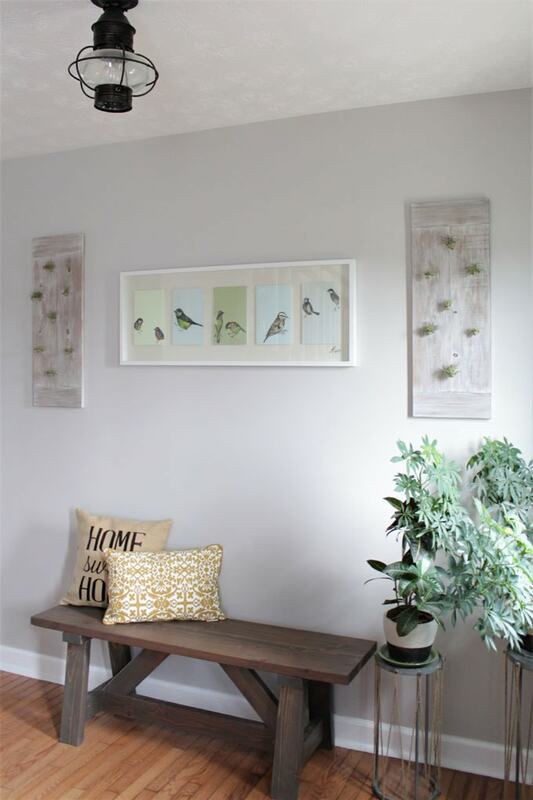 Thanks for sharing this wall art DIY project. This is absolutely adorable, luv it! 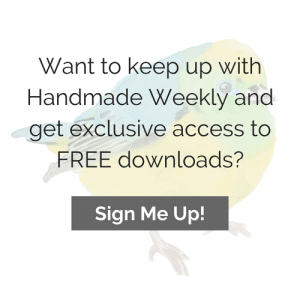 Thanks so much for sharing with Wall to Wall DIY Wednesday! Thanks Ann. 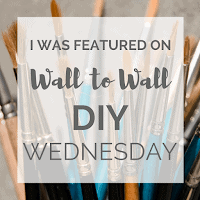 I love seeing all of the posts on Wall to Wall DIY Wednesday.